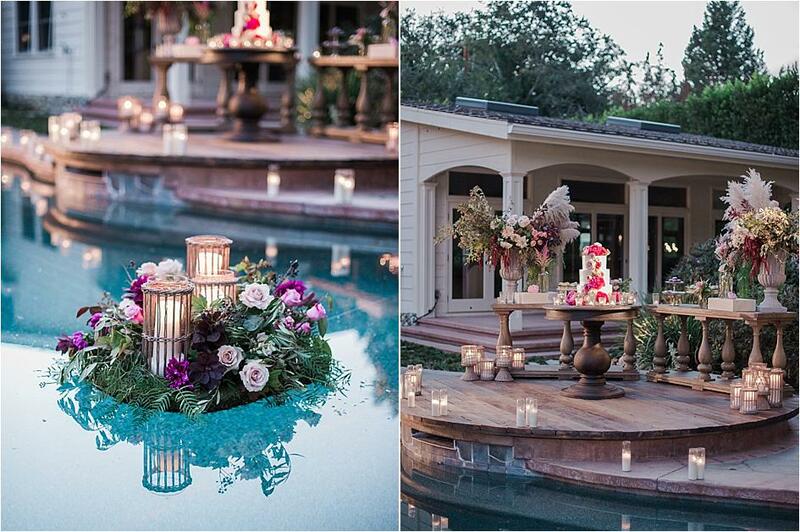 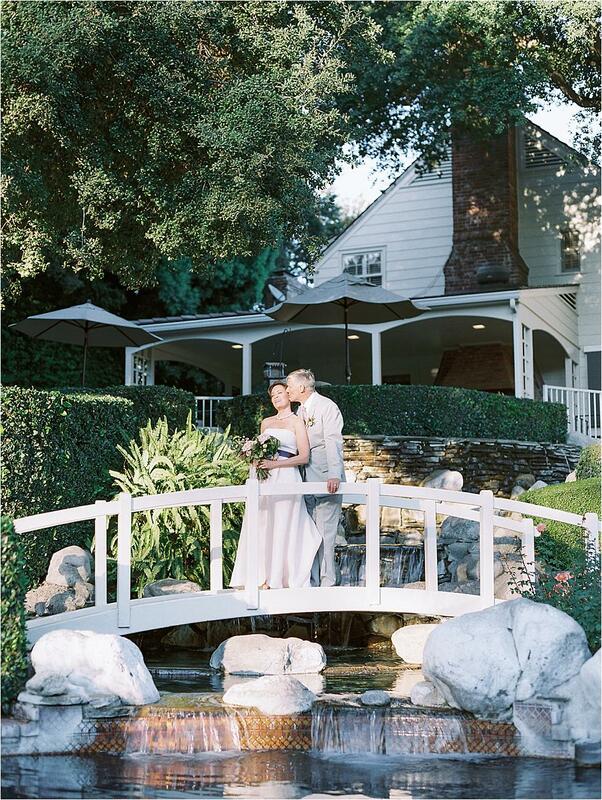 Jan and Larry celebrated their union in the backyard of their Arcadia estate. 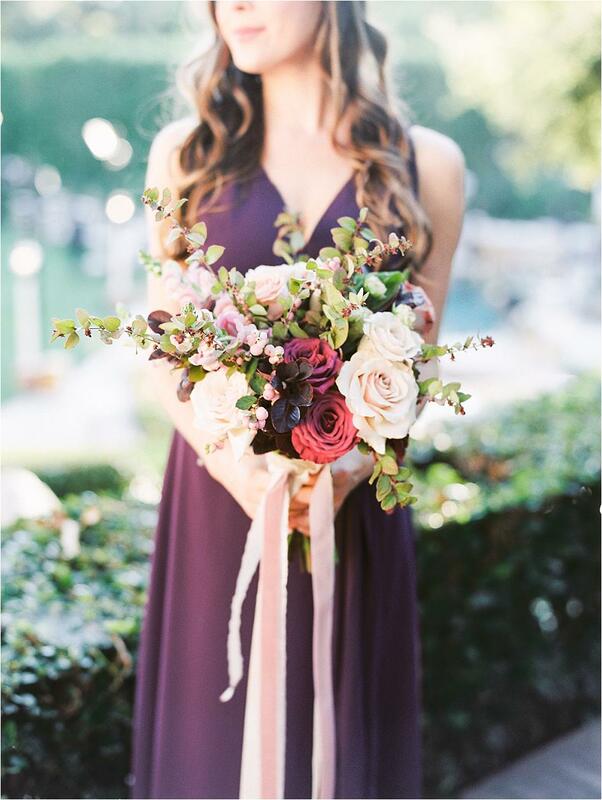 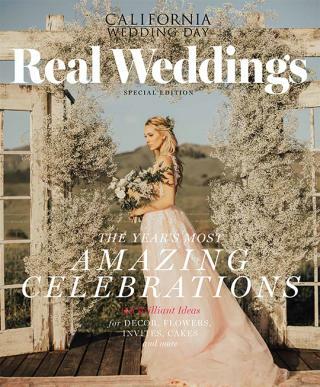 After delivering her initial vision of a romantic fall setting with rich tones of aubergine, Jan put her trust in Larissa Rehder of Inviting Occasion. 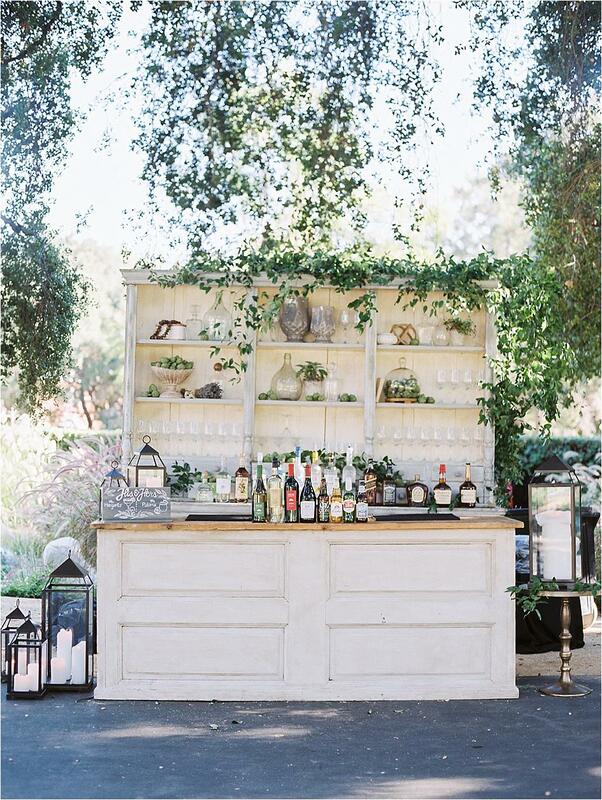 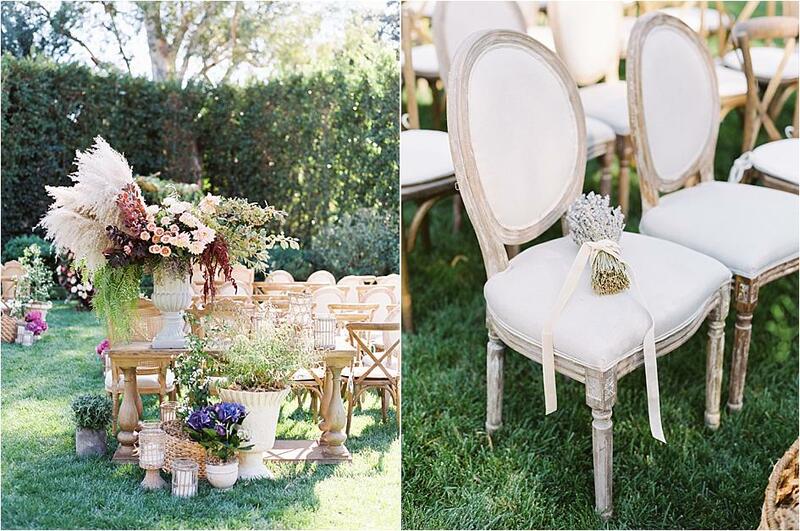 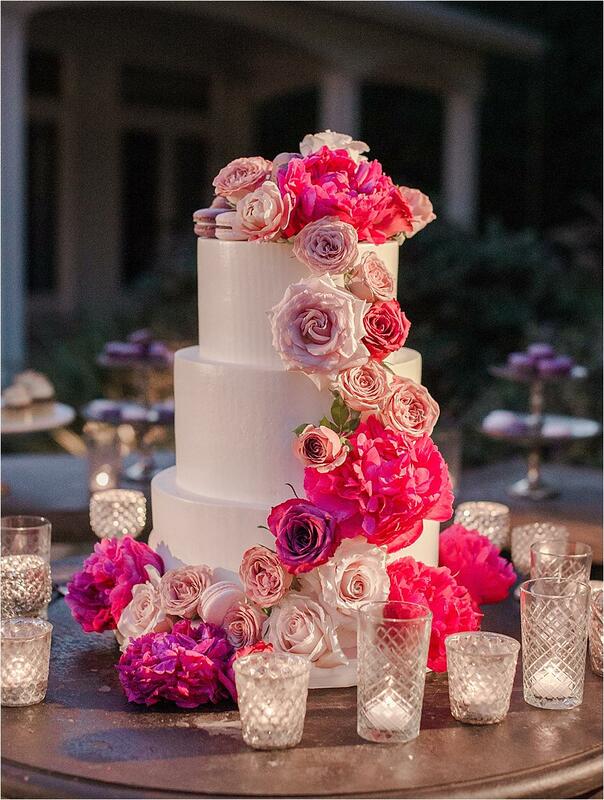 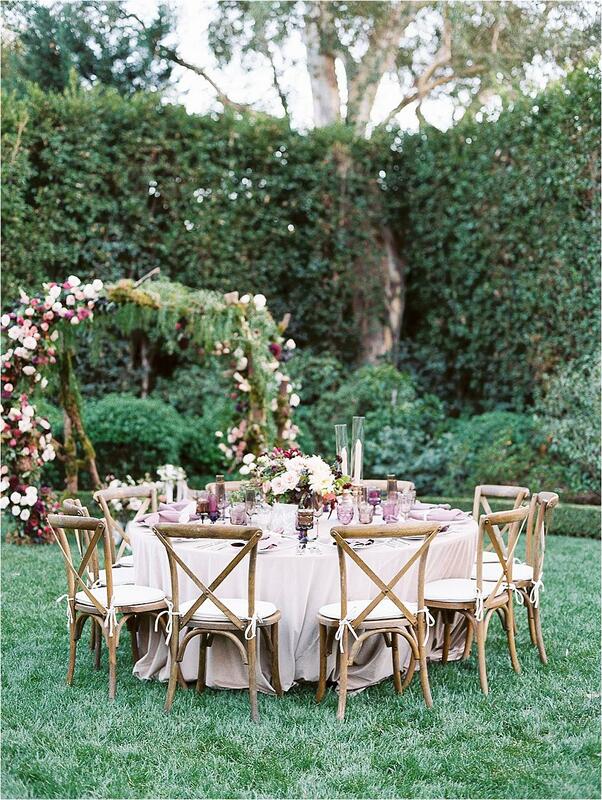 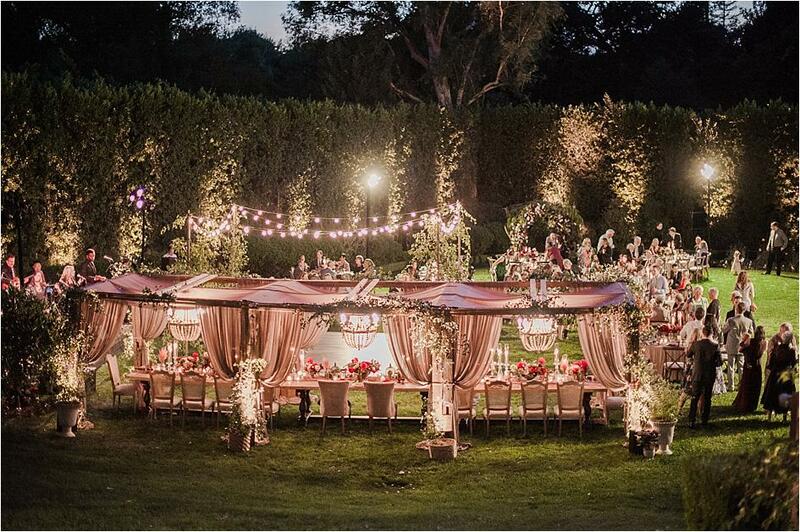 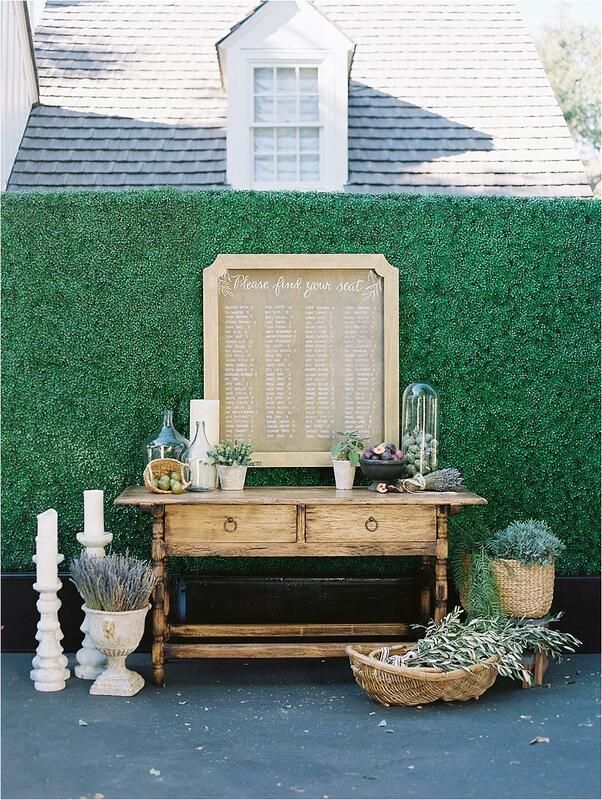 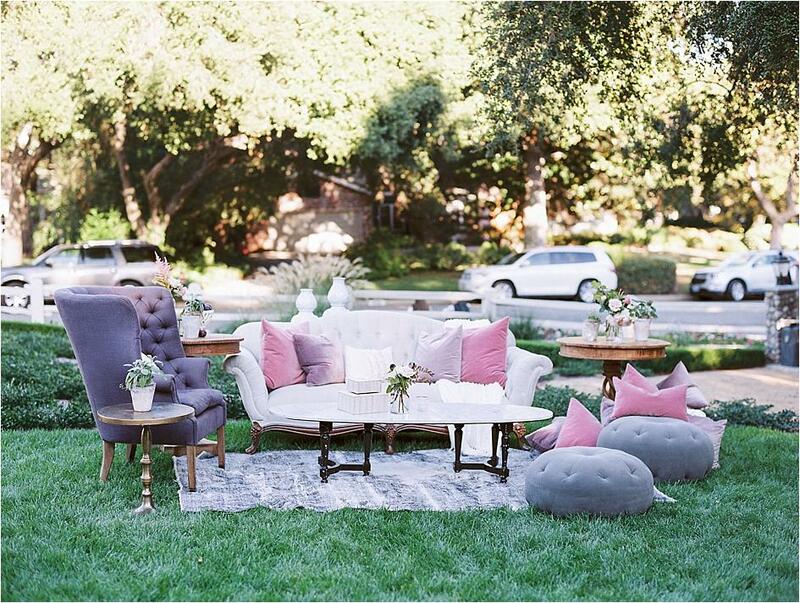 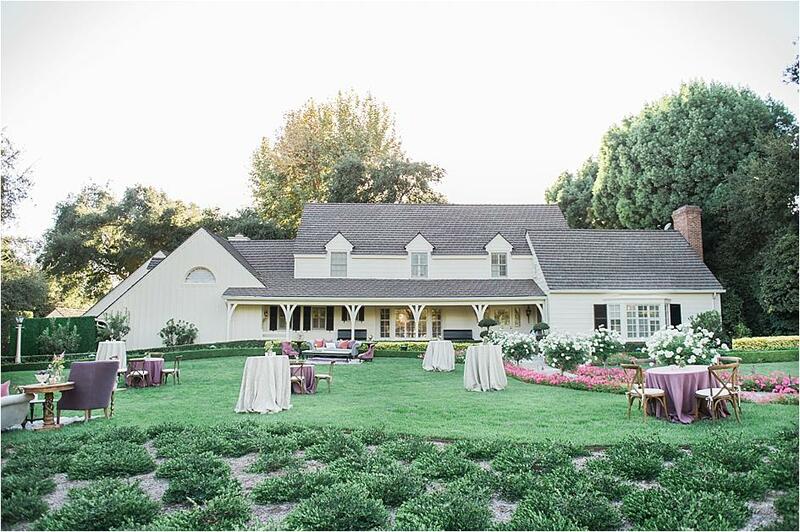 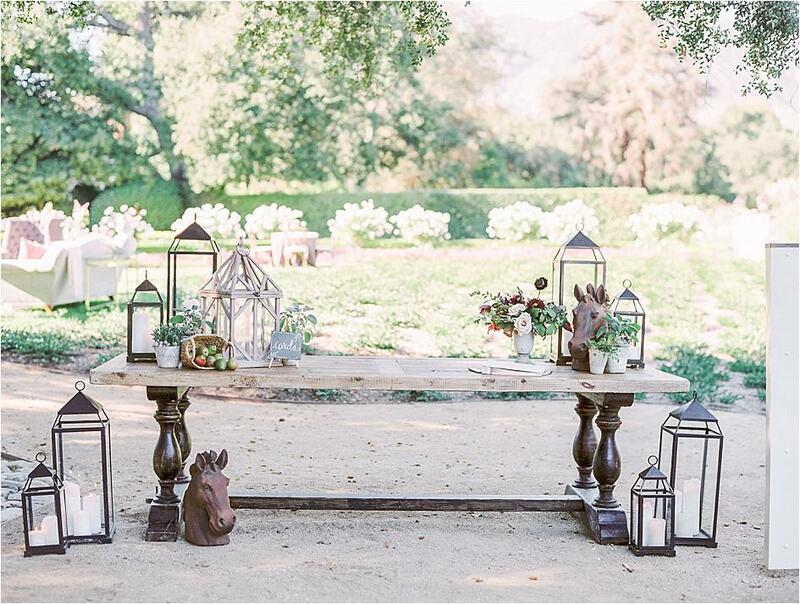 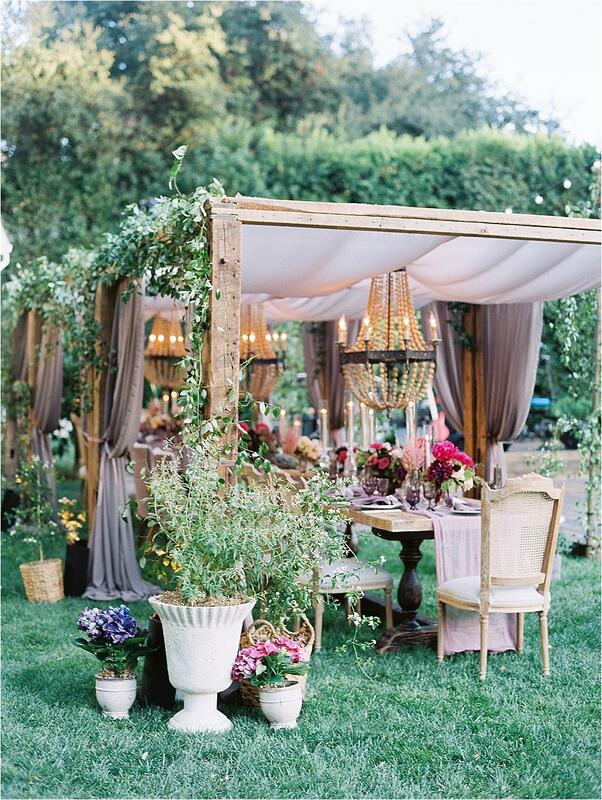 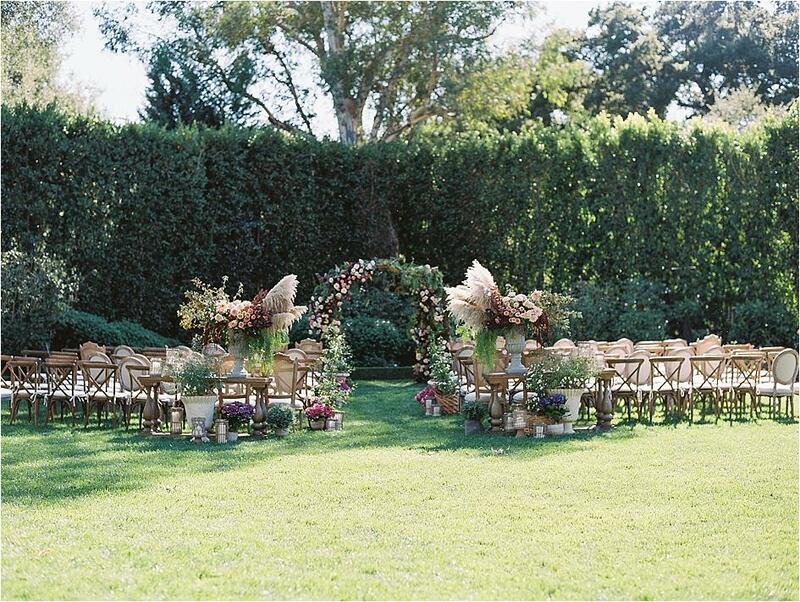 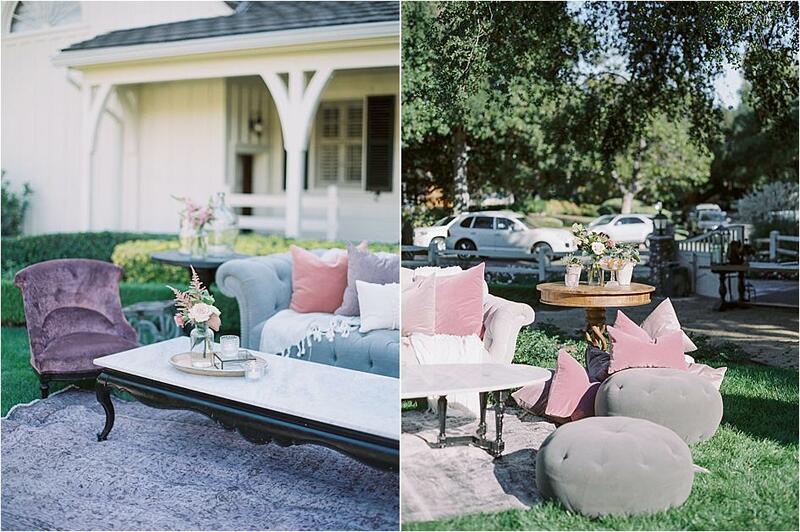 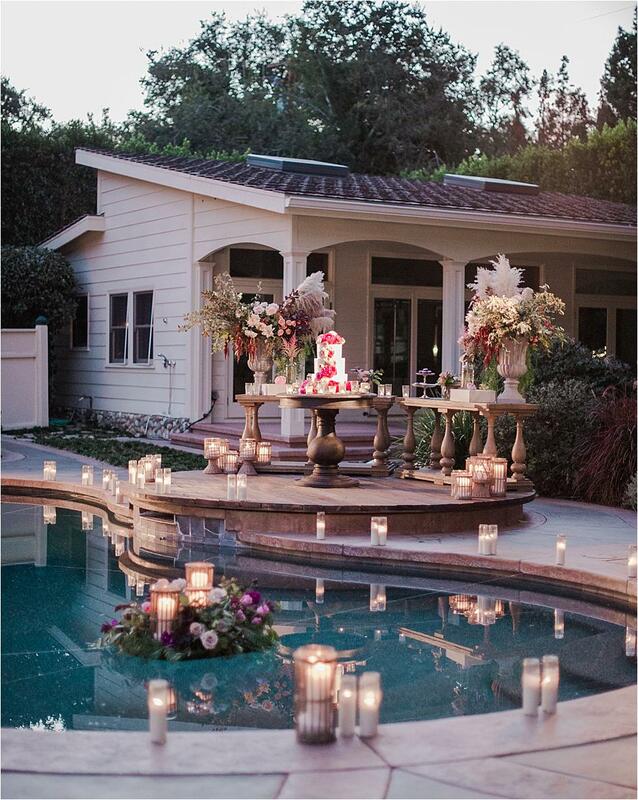 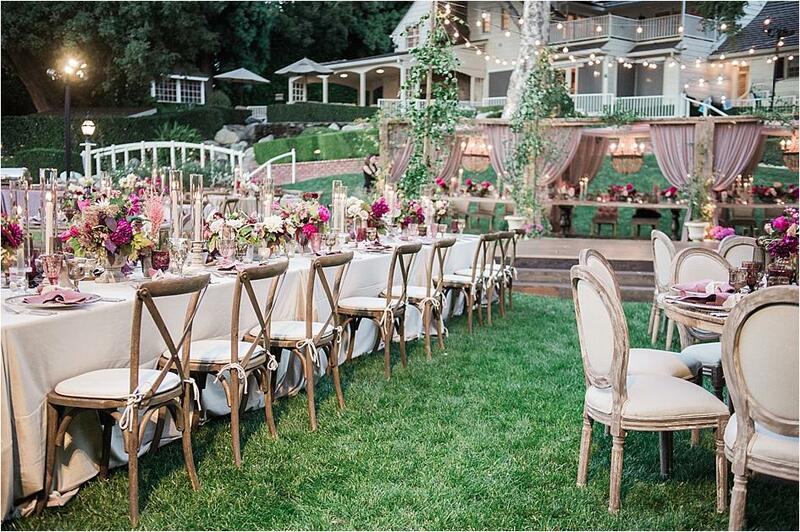 Since both the wedding and reception were held on the couple's sprawling lawn, it was important to create differnt spaces for each, so when guests re-entered the lawn after cocktail hour, the setting was transformed. 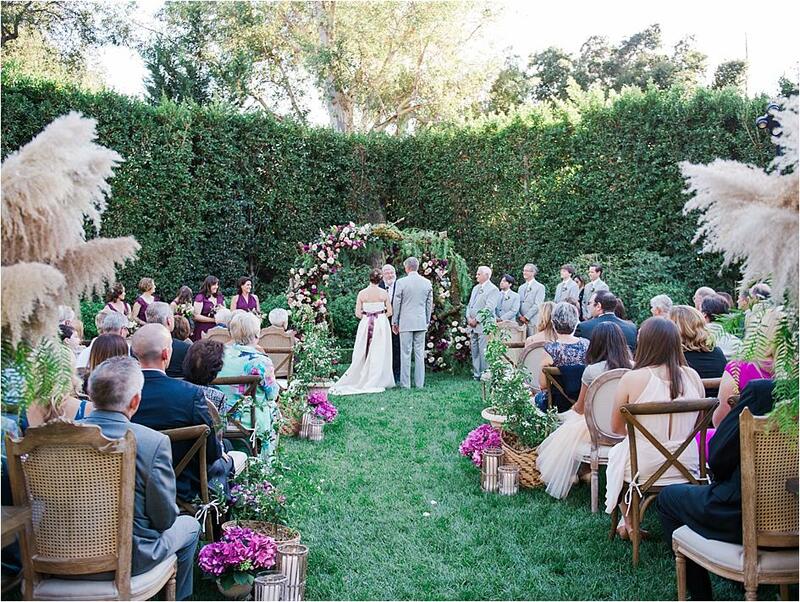 For the ceremony, an organic custom arch set the scene while an abundant floral displays in urns flanked the entry to the aisle. 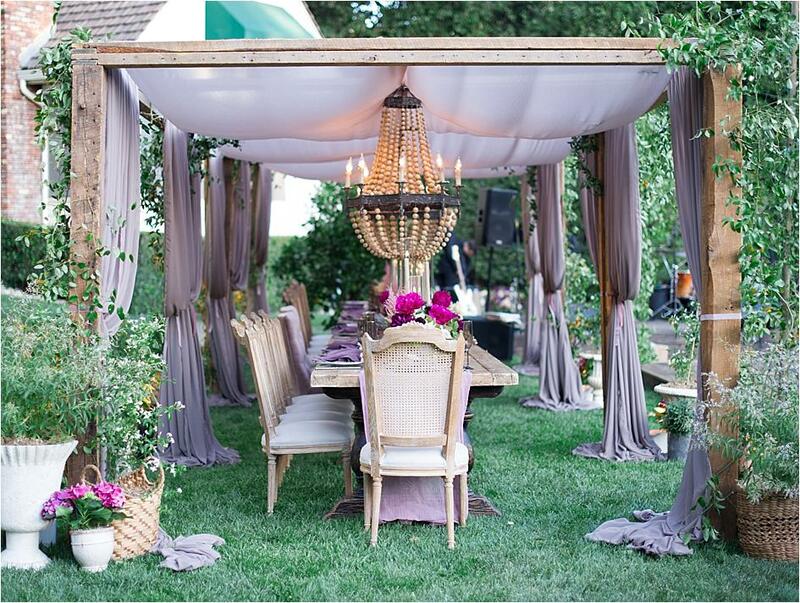 The reception was breathtaking, with the head table tucked underneath a wooden pergola draped in dusty lavender silk chiffon and adorned with southern smilax and wood bead chandeliers, which added a rustic and elegant note. 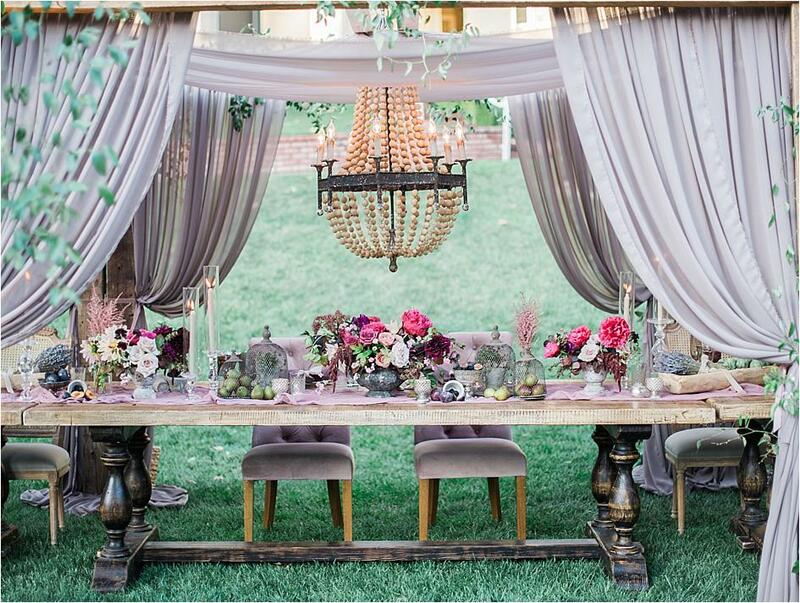 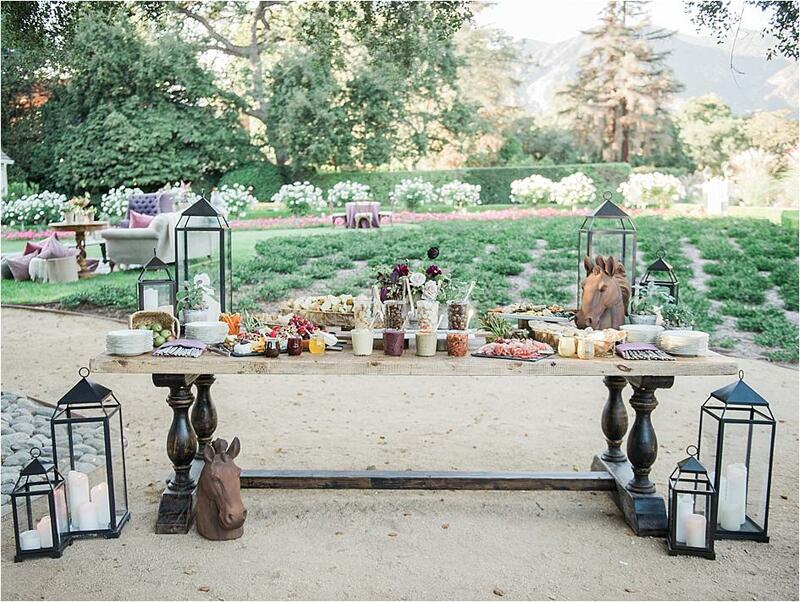 Pots of lavender and lemon verbena provided an aromatic touch to the evening, while the tables were filled with lush blooms, taper candles, pots of herbs, bundles of dried lavender in vintage bread bowls, and artichokes, figs, black plums and blackberries in tarnished silver vessels. 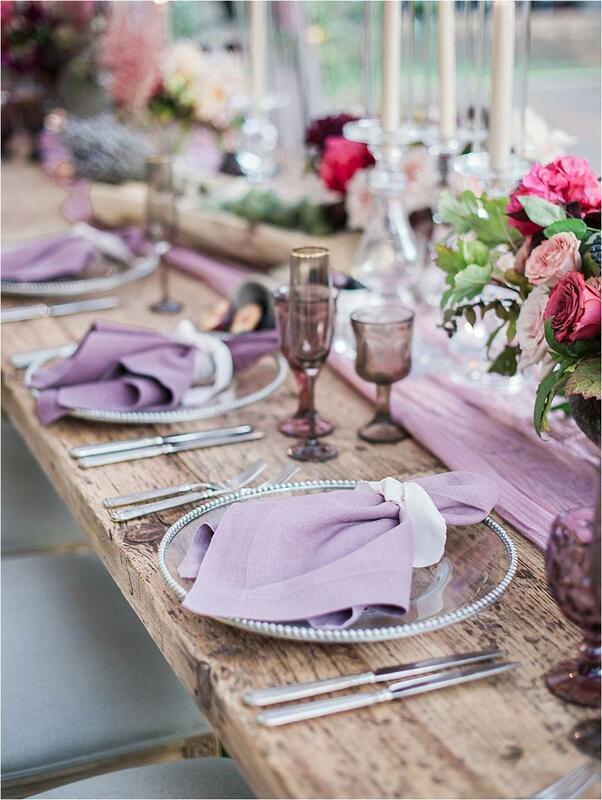 Velvet linen added a cozy yet luxurious texture to the layered design. 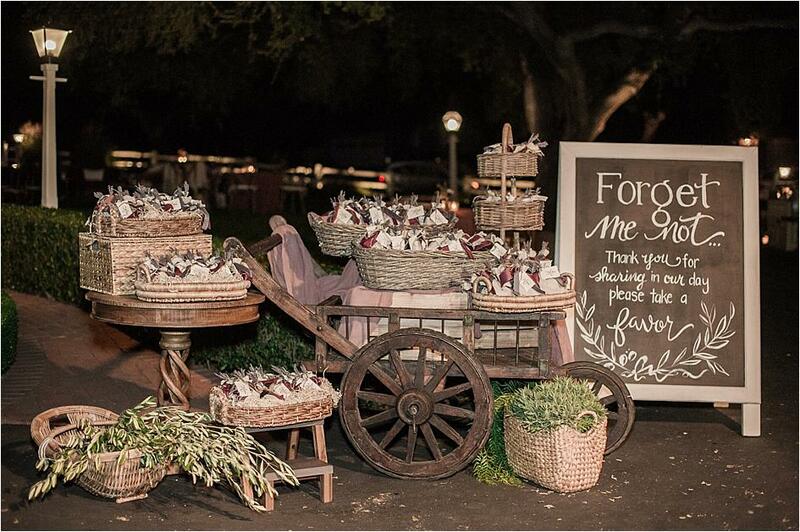 Personal touches brought an intimate feeling to the evening, such as Jan's handmade caramels, which were given as favors, loveingly packaged with sprigs of dried lavender, hand-dyed silk ribbon and handmade cotton paper tages from France.